I had a great time at the art fair this weekend. We had record high temps and it was a little slow because that, but I was in the courtyard of the venue and it was a bit cooler there, and I was with a great group of other artists. Now that art fair no.2 is over, there is only 11 days until the next one! I am hoping to take it easy tomorrow, then I’ll be getting back to work making more ornaments and more art! In the meantime, I did a little shop update. 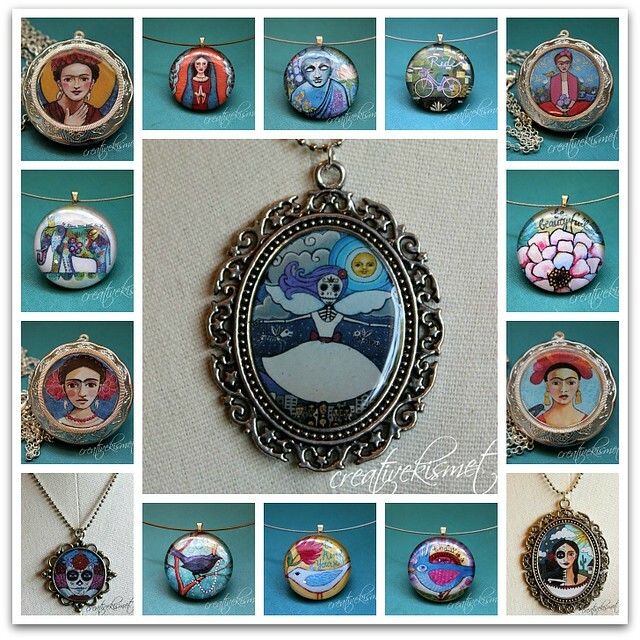 New art pendant necklaces, a couple of angel ornaments and some Day of the Dead ornament, prints and pendants. 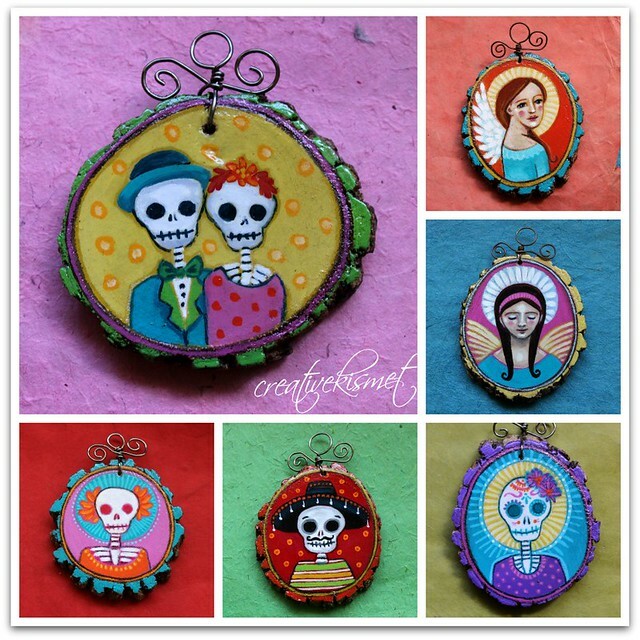 Free US Shipping on Day of the Dead ornaments and necklaces plus discounted prints and originals. Please stop by and take a look! This entry was posted in Art, i make stuff, jewelry, shop talk. Bookmark the permalink. I just down-loaded 2 0f your free Halloween printables (source-Owl Barn), and I wanted to thank you for your generosity in gifting us with such great Halloween fun. It is more than kind of you to share your wonderful work. Thank you!